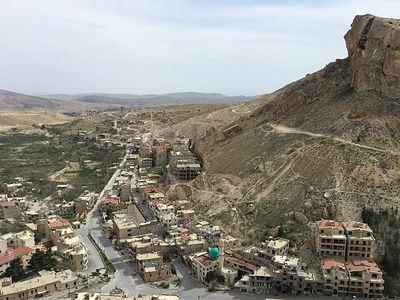 The Orthodox Monastery of St. Thekla in Maaloula, Syria has reopened its doors after the liberation of the city in the Damascus Province, reports Interfax-Religion. The nuns, who had been forced to leave the monastery due to the war, have been able to return. “Everyone was very worried about the nuns; everyone really loves them. The parishioners are warmed by their spiritual warmth. I returned here from Damascus as soon as I heard that the area was freed from terrorists,” monastery chaplain Fr. Ilias Ades reports. According to him, reconstruction work on the monastery is nearing completion. 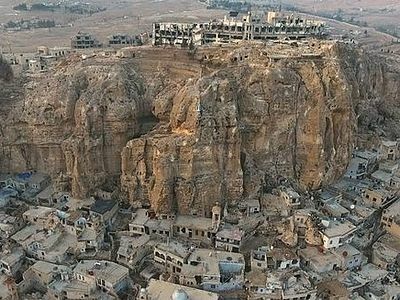 “Maaloula has revived; the church has revived—look, see how many tourists we have! 90% of the reconstruction is already done. Syria is gradually becoming a peaceful country. How can you not but rejoice!” Fr. Ilias exclaimed. Fr. Ilias says that the repairs will be completed within two weeks. “It remains to finish the repairs on the second and fourth floors and to install electricity so tourists and pilgrims will be able to stay here. Everything will be finished in two weeks,” he noted. The Monastery of St. Thekla is a UNESCO World Heritage Site. 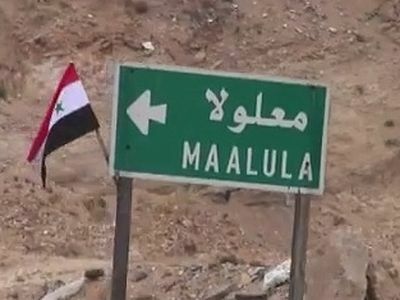 ISIS invaded the small town of Maaloula on September 5, 2013, going on a rampage against Christian people and buildings, destroying all holy sites in the city. 3,000 fled the city, leaving only Muslims and the monastery’s forty nuns, twelve of whom were kidnapped by ISIS in early December of the same year. The nuns were released in March 2014. A radical Jabhat al-Nusra "opposition" group, which occupied the small Christian town of Ma'loula in Syria in the last months of 2013, desecrated absolutely all shrines of the town.